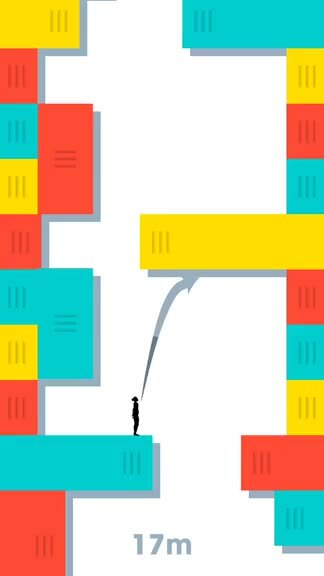 Stair: Slide the Blocks to Ascend ($1.99) by Alec Thomson is a fast-paced arcade game that will keep you busy for hours as you try and beat your own score. 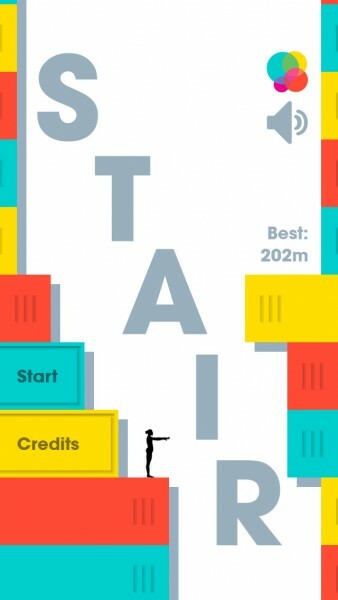 If you enjoy games that test your reflexes and speed, such as Retry and 2 Cars, then you will love Stair: Slide the Blocks to Ascend. 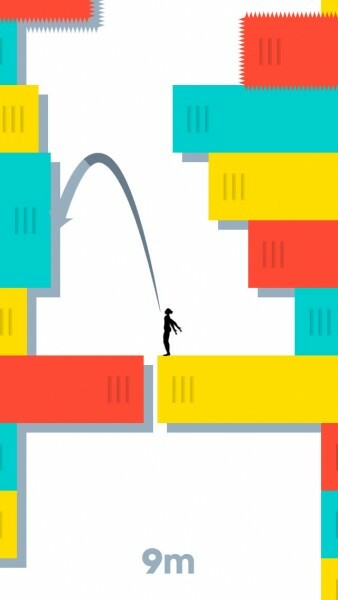 When it comes to iOS games, I always prefer the simple pick-up-and-play types of puzzles and arcade games that I can pick up whenever I have a moment to spare. But unfortunately, as I review tons of apps on a daily basis, I always see things that have been done time and time again. Even though I may love the type of game that pops up, it isn’t like I haven’t played it before in a different form. So when I heard about Stair: Slide the Blocks to Ascend, I had to check it out, because it was something I have never seen before. The graphics in Stair are beautiful. 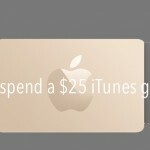 While it looks flat and simplistic, it’s done elegantly and will look great on your Retina screens. 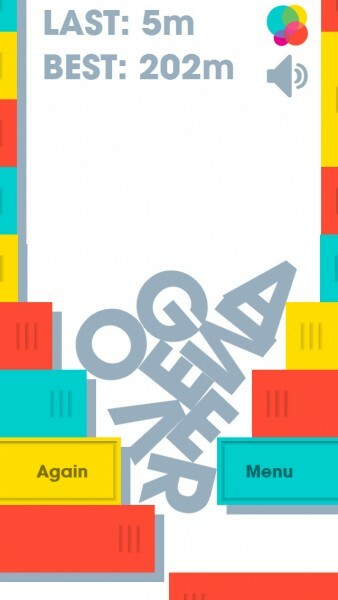 The blocks are colorful and contrast nicely with the stark white background. I also love the little “handlebar” detail that is on the ends of the blocks, which is similar to native iOS features, indicating that you are able to pull on them and slide them left or right. The silhouette of the female character reminds me a bit of the Wii Fit Trainer due to the various poses, but that’s not a bad thing. The game also has a clear trajectory arrow from the character that shows you the area she will be landing in after she does her jumps. The animations in the game are smooth and fluid, the soundtrack is soothing, and the sound effects are a fun touch. 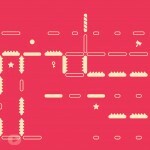 There is only one game mode in Stair, but it’s enough to keep you coming back for more. In short, the objective is to have your female character ascend as high up as she can. In order to do this, all you have to do is slide the blocks so that she will be able to grab on and climb on it after jumping, and then repeat the process. She will jump automatically after only a few seconds, so you have to stay on your toes and get the blocks ready for her ascent. If you need to, you can also slide the block that she is currently climbing on. 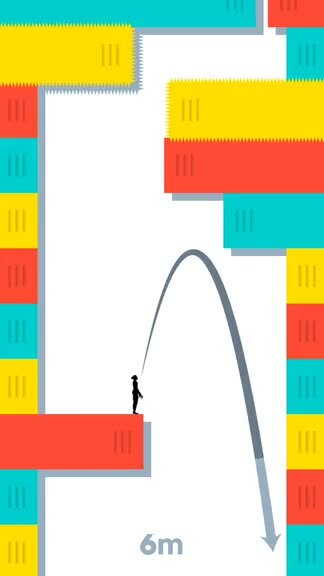 The game continues to scroll vertically, so if your climber misses and falls, then it’s game over. Sounds easy, doesn’t it? It may take a bit of getting used to, but the concept does seem a bit simple. However, the real test will reveal itself once you realize that she doesn’t stop, but picks up pace instead, and you have to manage multiple blocks at once, due to some protruding out, sliding only vertically, covered in spikes, and other dangers. It’s a real test of your reflexes, speed, and ability to think ahead. Like many other games that test your skills, this is perfect for some competition among friends, so there is full Game Center integration for leaderboards. Unfortunately, there aren’t any achievements to obtain. 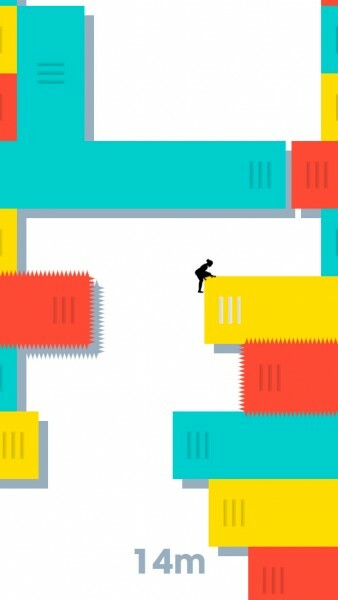 I love quick little arcade games like this, so Stair: Slide the Blocks to Ascend is definitely a gem this week. The visuals are aesthetically pleasing, the music and sounds are fun, the controls are intuitive and natural, and the gameplay itself is challenging. 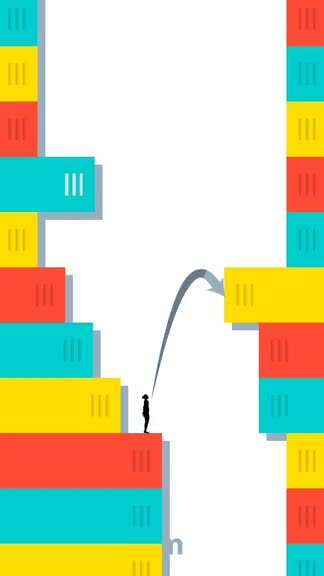 If you’re looking for a game that is unlike anything you’ve played before, then I recommend checking out Stair: Slide the Blocks to Ascend. 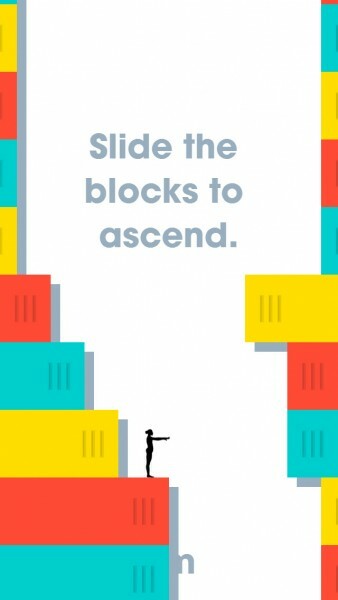 You can get Stair: Slide the Blocks to Ascend on the App Store as a universal download for $1.99.